Gavin owns and operates Lowcountry Sports Network, a tennis management company in the Bluffton, Beaufort, and Hilton Head Island area. LSN currently manages the tennis teaching operation in Colleton River, Belfair, Berkeley Hall, Hampton Hall, Habersham, and Hampton Lake with a qualified team of teaching professionals. His company also handles the daily maintenance of 31 clay courts in the area. Prior to his current position, Gavin spent 21 years with Van der Meer Tennis as Operations Manager. During his tenure, he opened the award winning tennis complex at Lake of the Ozarks, MO and spent three years developing the tennis programs. Born and raised in Africa, he spent his earlier years playing competitively and represented Zimbabwe as a top junior prior to National Service. He later moved to South Africa and opened his own teaching academy. 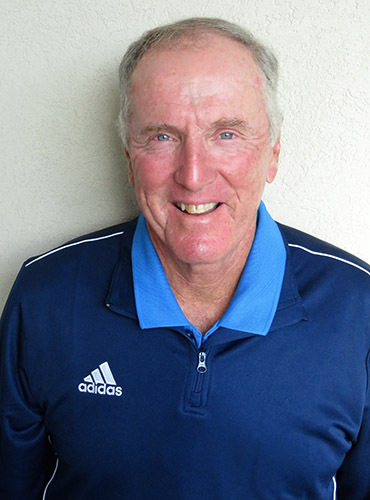 Gavin is a PTR Professional and is a USTA Recreational Coach Workshop Trainer. Gavin and his wife Jill, have been in the area since 1982. Their daughter Kristin is now married and living in London, KY and daughter Terri is living on Hilton Head working towards her teaching degree.